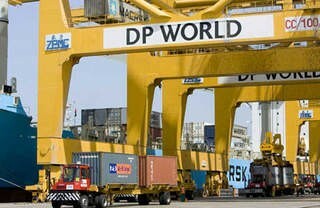 Further to the last round of Infrastructure Charges in April this year, DP World Australia (DPWA) have informed the industry that they will be increasing the “Infrastructure Charges” for import and export containers in Melbourne, Sydney and Brisbane. The Surcharge applies to full containers received or delivered via road or rail. The industry associations have advised the ACCC that such charges should be paid by DPWA customers being the “shipping lines” not transport operators and freight forwarders on behalf of importers / exporters, due to the lack of commercial relationship and inability to enter into commercial negotiations. However, either way, we would expect this cost would be passed on to the end customer, whether via the Shipping Lines or Transport/Freight Forwarder operators. Recently, ACCC issued the 2016-2017 Annual Container Stevedoring Monitoring Report which noted that the ‘new infrastructure charges’ raise issues for the port supply chain and will be interesting to see if ACCC will start to monitor such increases in infrastructure charges. We will continue to keep you updated of this situation, and if any there are any changes to the above. Please feel free to contact any one of our staff should you require any additional information.